I have a very quick post for you this morning and I am busy getting ready for work. 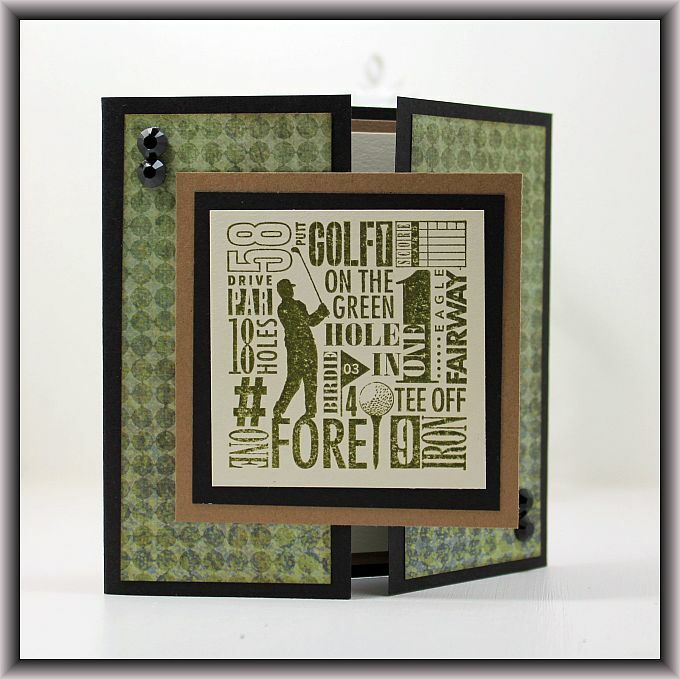 I have prepared a nice little Masculine card class to teach at The Cutting Garden next month. I always love to try to make Masculine cards because I always find them quite difficult and when I manage to make some that turn out well, I feel like I have really accomplished something. 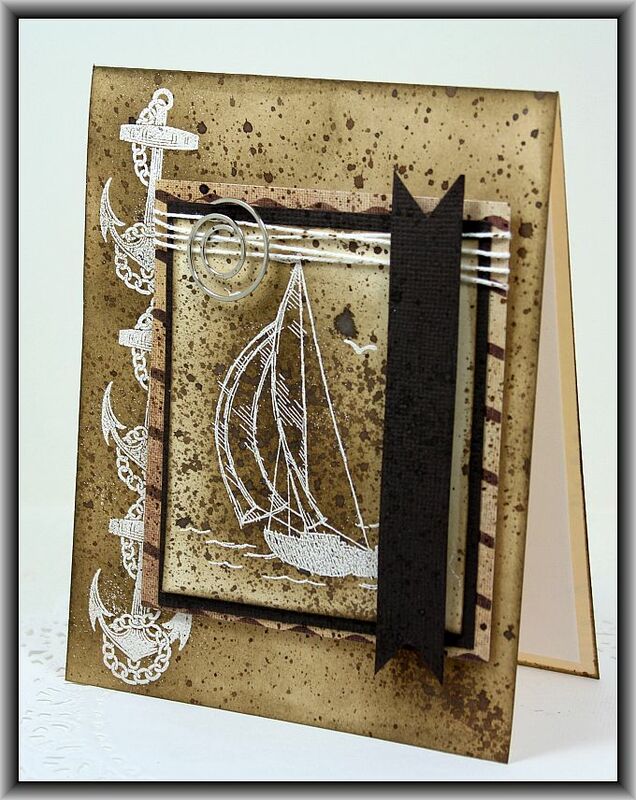 I used the Technique Tuesday stamp set called All Aboard. As soon as I saw it, I knew I just had to have it! Good Morning! Wow this has been such a busy week for me! I have a super quick post for you this morning as I am busy getting ready to head off to work…. Kim recently got in some sweet Technique Tuesday stamp sets at The Cutting Garden and I haven’t had much of a chance to ink them up but I managed to make this manly card using one of the stamps. I am excited to get to go to the garden tonight for class! I feels like forever since I have been there! Happy Monday! I thought I would do a quick post of an upcoming class at The Cutting Garden. 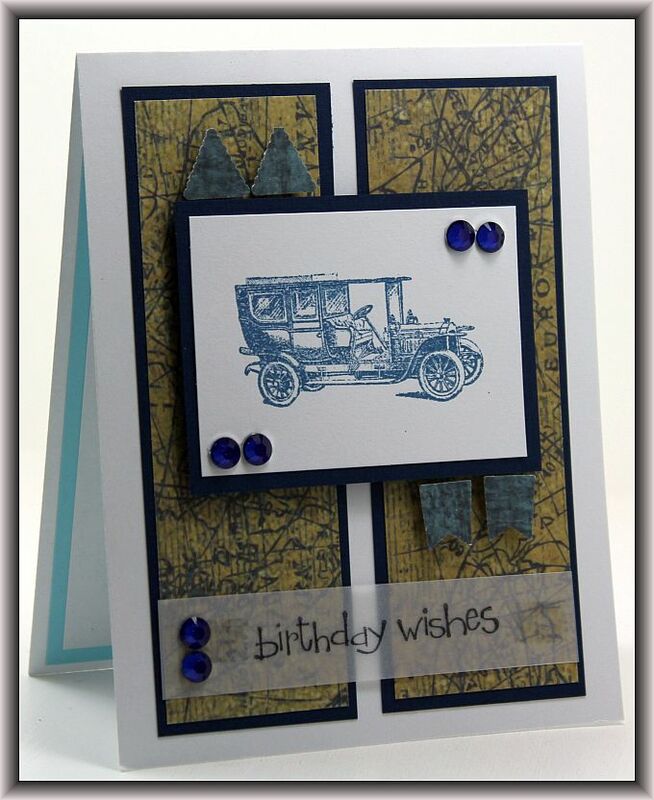 I really enjoy making masculine cards because I find that they are so challenging. Not a butterfly or a flower to be seen! LOL! 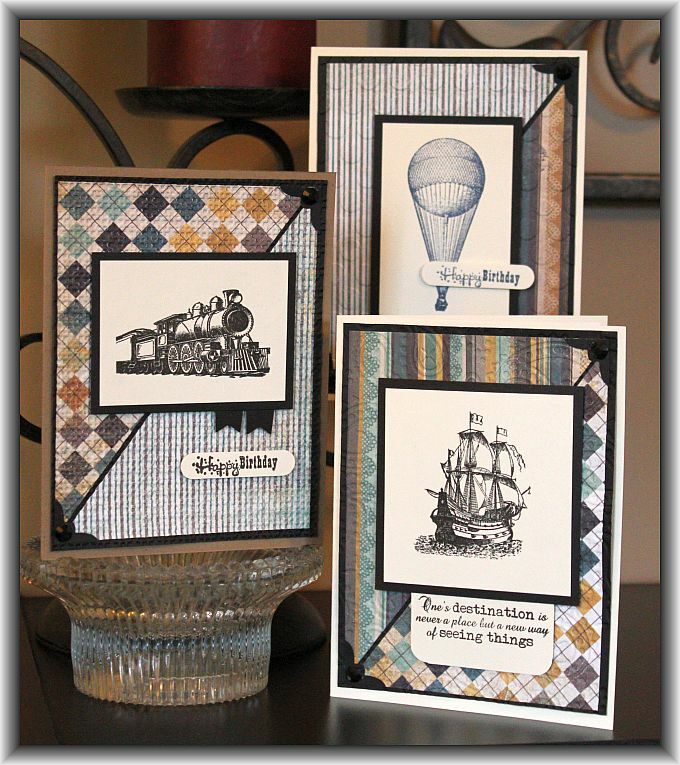 This stamp set is by My Favorite Things… It is an amazing set of stamps and Kim can’t seem to keep it on the shelf! Good Evening! I have finally drug myself away from my garden and back into my craft room to do a quick post. Kim has some new My Mind’s Eye stamps that recently came in and I found a bit of time to ink them up…. 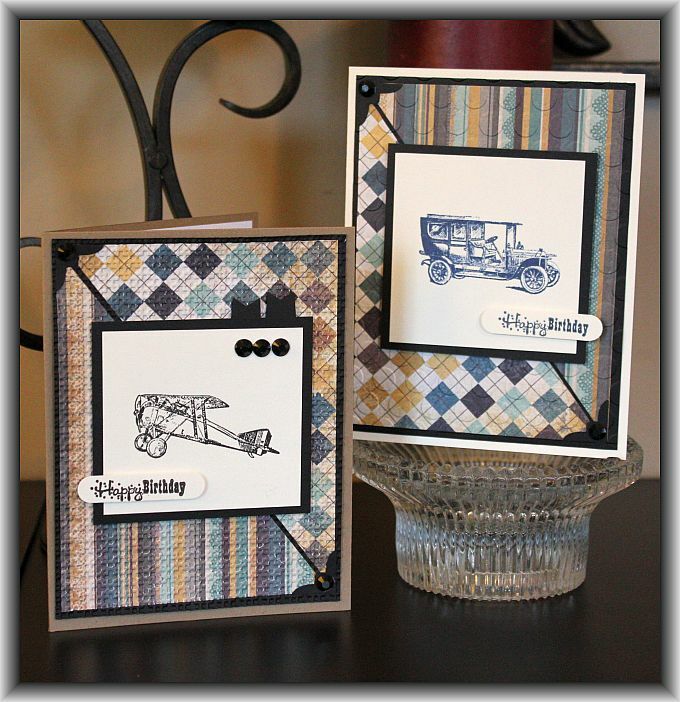 This set is from the Find Your Wings and Fly collection called Up & Away. 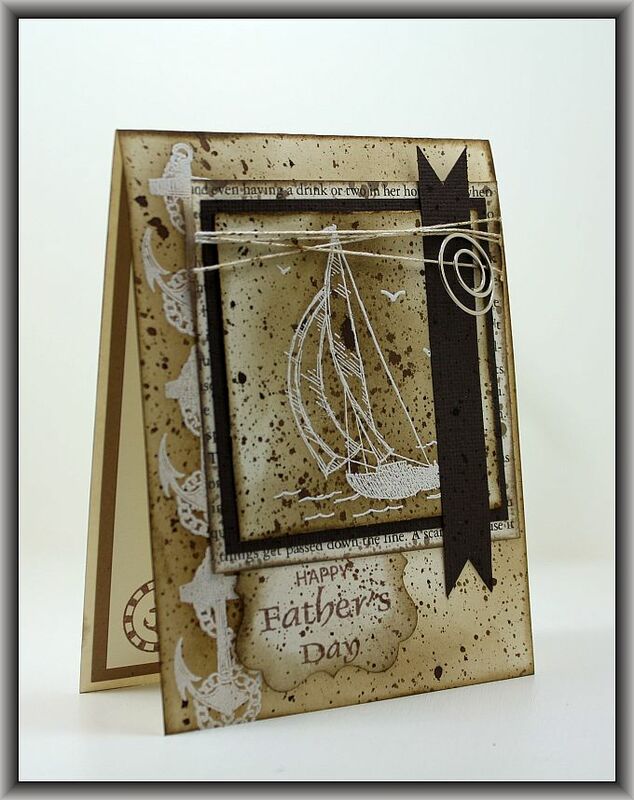 It makes such cute masculine cards and I felt with Father’s day right around the corner it was the perfect time to pull them out to see what I could create. Cute huh? I love these stamps! they are totally fun! I hope you are all having a great evening and thanks for stopping by!!! Ugh! It’s Monday again! Where did the weekend go? I didn’t get much crafty time in this past weekend. I spent the majority of my time in my garden. I managed to get all my little vegetable plants in the ground and Tony made my bean towers and I planted my bean seeds. It has been a very productive weekend for me! The weather was absolutely amazing this past weekend and I spent all my time in the back yard. 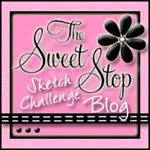 Hopefully I will find some time this week in the evenings to get crafty. I picked up this cute little stamp at the yard sale at The Cutting Garden. I felt it would be great for father’s day cards or masculine birthday cards. I am off to get ready for work! 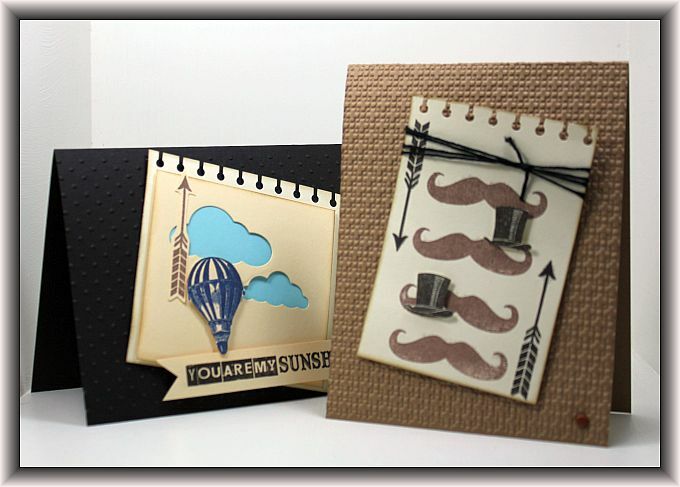 In preparation for father’s day I thought I would made up some masculine cards for my stash. 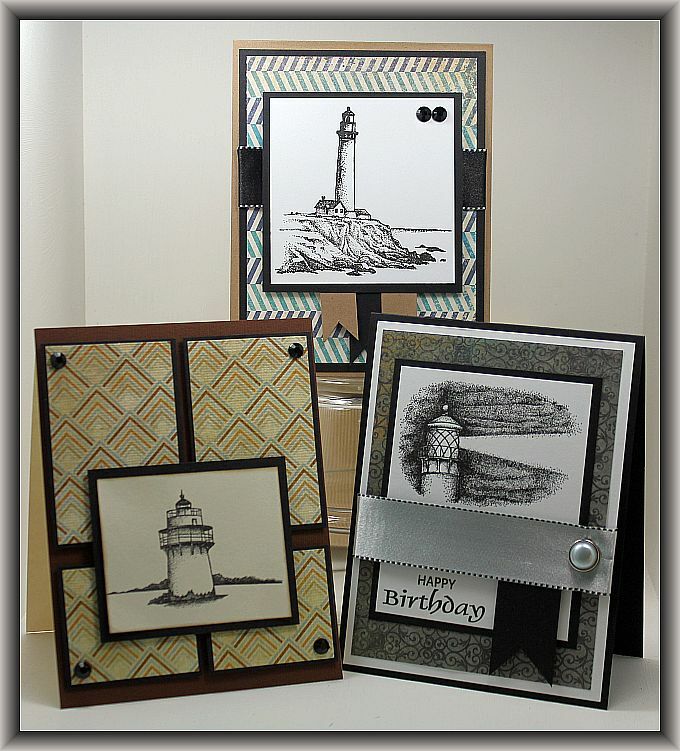 I often sell my cards to people at work and I have a box of cards for sale at The Cutting Garden (Thanks Kim!!!)…. 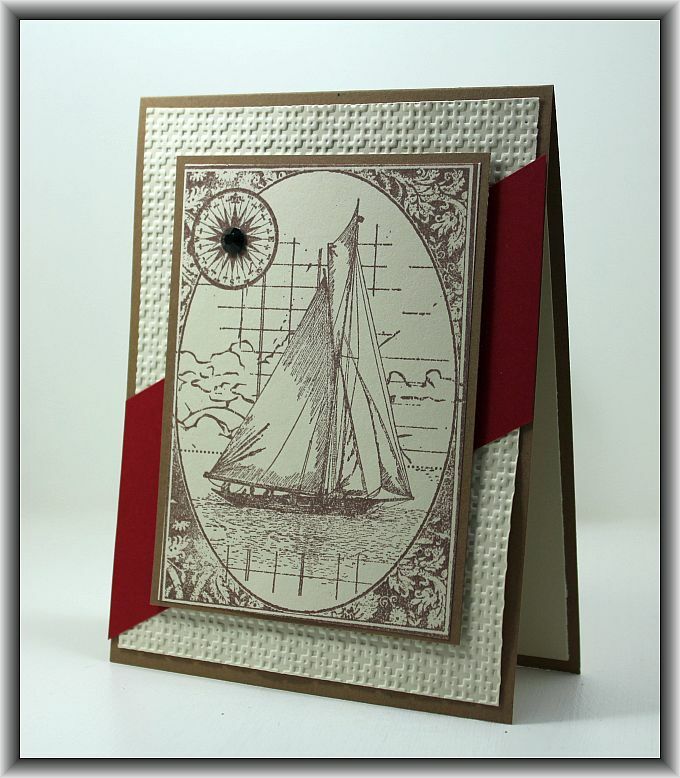 the money I make from my cards helps fund my crafty obsession which, as I am sure you know, can be quite expensive! LOL!! Anyway, here are some of the Masculine cards I made on the weekend…. 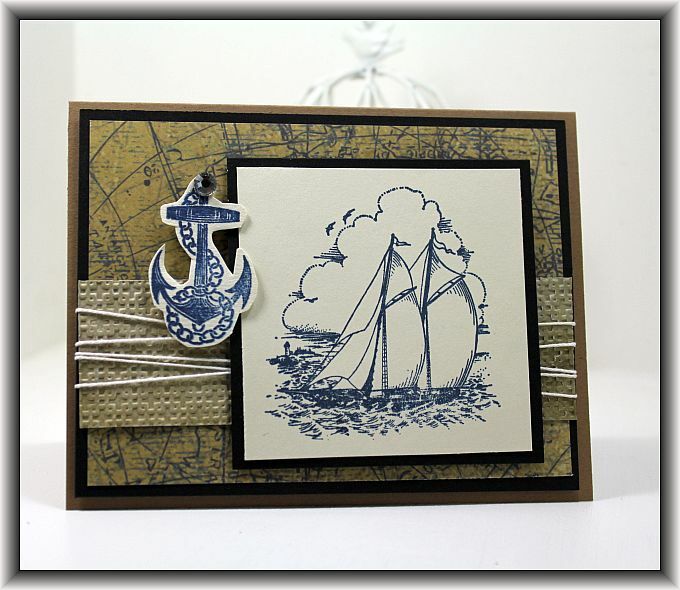 The Sail Away stamp I borrowed from Kim. This is a retired stamp and if any of you have it and are no longer using it and want to sell it, I would be very interested. Just send me an email please. 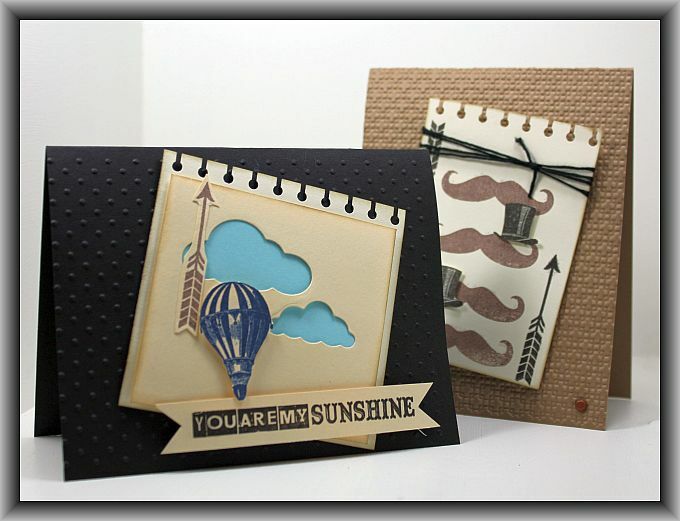 Tags: Card Making, diy, DYI, DYI Crafts, Hand Made Cards, Impression Obsession, Masculine Cards, Paper Crafts, PSX Stamps, Rubber Stamping, Stampin' Up!